Opposition Analysis: Melbourne Brendon Lade joins Matthew Richardson to dissect the Demons ahead of the Anzac Day eve match. Richmond has named experienced key pair Brett Deledio and Ivan Maric in its side for Sunday night’s big Anzac eve clash with Melbourne at the MCG. 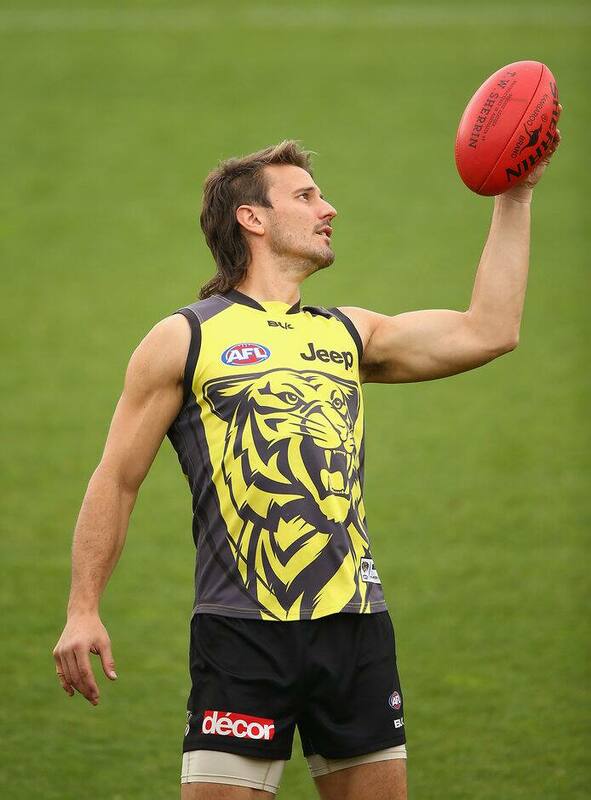 It will be the first appearance at senior league level this season for the two Tiger vice-captains, who have both overcome nagging injuries (Deledio, a quad complaint and Maric, back trouble). Maric had a couple of games at VFL level in a bid to gain valuable match practice, after being sidelined through the NAB Challenge pre-season series. Tenacious midfielder Anthony Miles also returns to the Richmond line-up, following his omission from the team that lost to West Coast by 68 points at Domain Stadium last Friday night. Miles picked up 30 disposals, including 19 contested possessions, plus 12 tackles, in the VFL Tigers’ big win against Footscray last Saturday. There are two other changes to the Richmond team for Sunday’s match, with defenders Jake Batchelor and Steven Morris receiving a call-up. Out of the side go Nick Vlastuin, who has a leg injury, Shaun Hampson, with a severe corked thigh, while Andrew Moore, Ben Lennon and Taylor Hunt have all been omitted.